I admit it. I am not always a well-behaved mother. With two daughters under the age of three, I persist in taking them on airplanes and out to restaurants and generally putting them in situations not ideally suited to the diaper and spit-up set. And I agree! But there’s not much I can do about the air travel, and my six month old likes to be attached to me. All the time. So when it came time to celebrate my birthday, I decided to be a Sassy Mommy and bring my baby with me. At the historic Pfister Hotel in Milwaukee, Wisconsin. My resolve was borne up by strength in numbers. 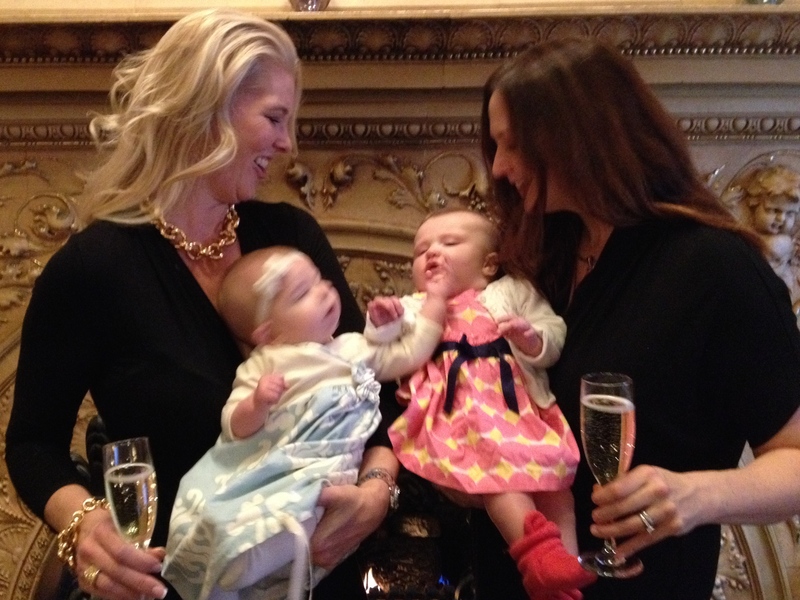 A fellow Sassy Mommy of two agreed to join me, with her four month old in tow. To our surprise and delight, the wonderful staff in the lobby bar could not have been more kind and supportive. Our server, Valerie, even brought me a special birthday dessert and snapped this photo of my birthday toast. I was so impressed, that I sent Val a note, and included a copy of her photographic handiwork. And guess what? I got a response! Anja Notanja Sieger wrote back asking if she could include our story on the hotel blog. And she included an original poem! 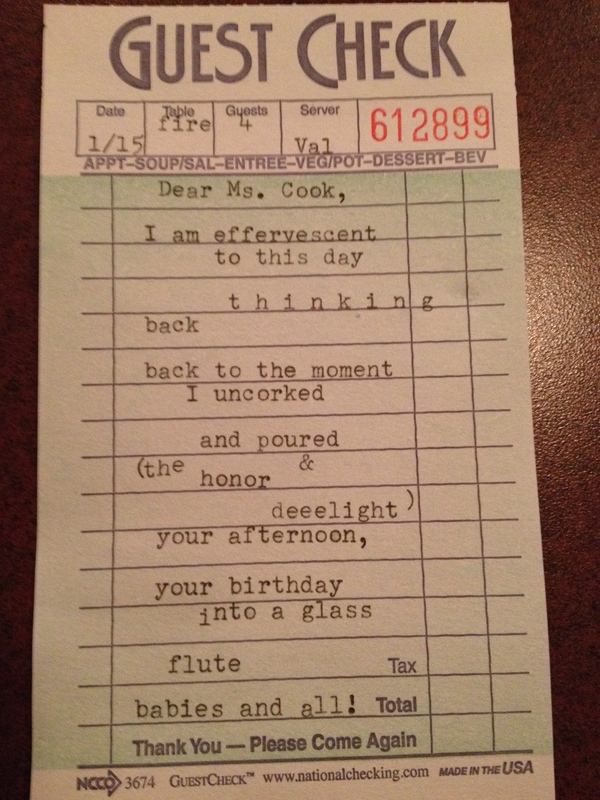 An original poem, written after my birthday lunch at the Pfister. Of course I jumped at the chance to be part of the history of such a landmark hotel. Well behaved mothers seldom make history. 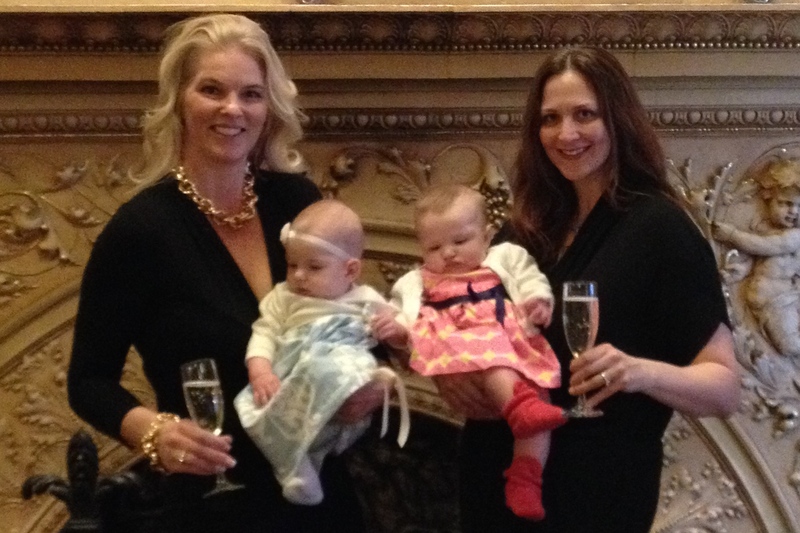 This entry was posted on February 17, 2015 at 10:19 pm and is filed under Motherhood with tags champagne, Milwaukee Moms, Mommies, Pfister Hotel. You can follow any responses to this entry through the RSS 2.0 feed. You can leave a response, or trackback from your own site.